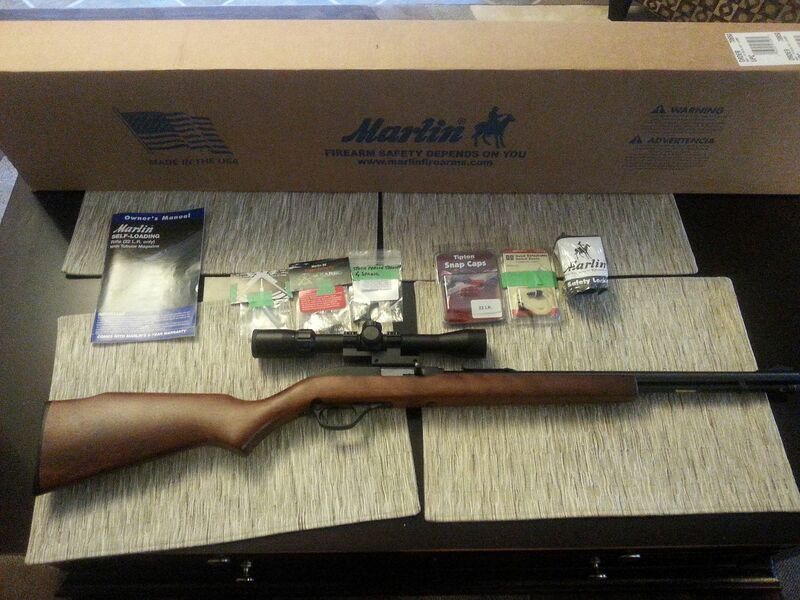 Purchased brand new two years ago, this Marlin 60 .22 semi-auto is in excellent condition with no dings, scratches, etc. This winter I replaced the synthetic stock for a genuine Marlin stock. Rifle is fitted with a Simmons 3-9x32 scope sitting atop an offset mount. 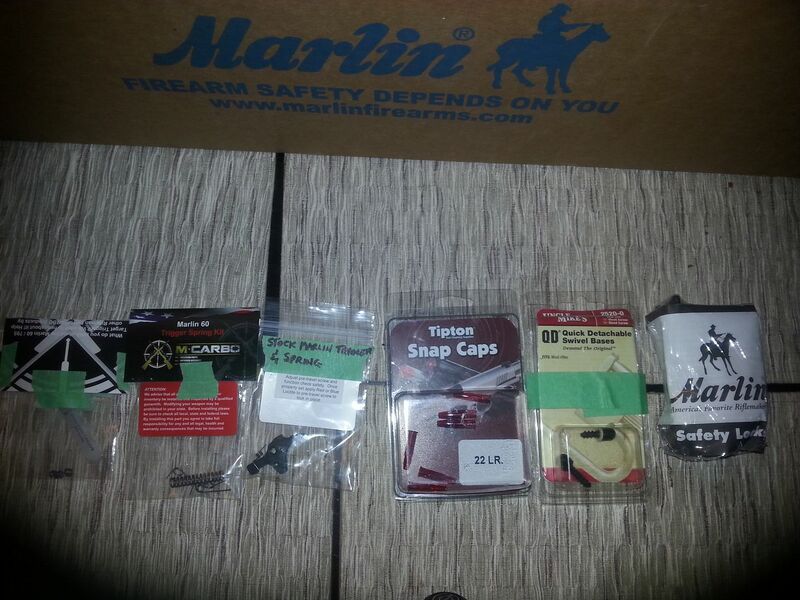 Dovetail rings are included along with lens covers and trigger lock. Package also comes with the M Carbo Trigger Spring Kit which I haven't installed. I have installed the M Carbo alum trigger and spring. Original stock trigger and spring are included. Also you'll receive 6 new snap caps as well as a package of Uncle Mikes Quick Detach swivel bases (part # 2520-0). Delivered in original packaging with all literature. For this non-restricted rifle, buyer must be 18+ years old and possess a valid PAL. Please PM me with your email addy for detailed pix. Been looking at these and if it is still available I will take it. 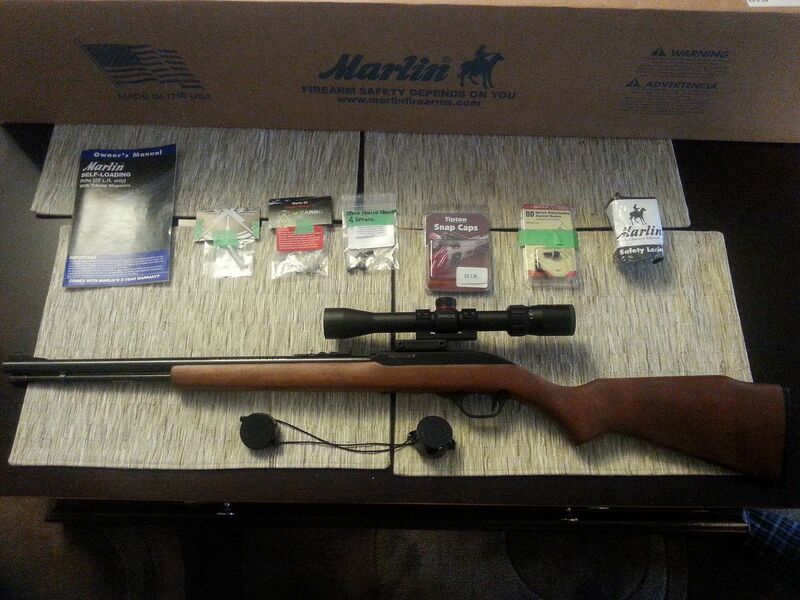 Rifle package has been SOLD.